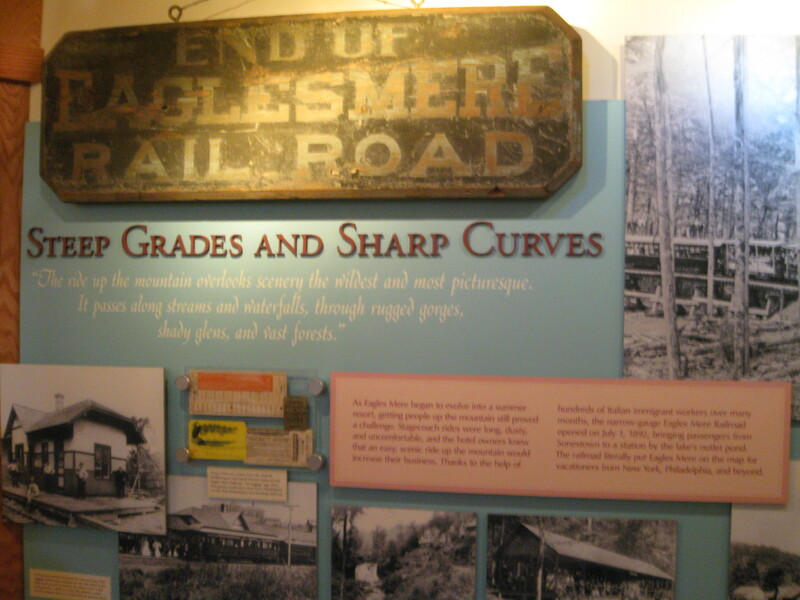 A few years ago I researched and wrote a script for an exhibition for the Eagles Mere Museum, in a small town near Williamsport, PA. It was settled by a glassmaker in the late 18th century, and became a famous resort destination during the Victorian era. Today it’s as unspoiled as ever, with the beautiful “cottages” (many of them 8+ bedrooms) surrounding the perfectly preserved lake. 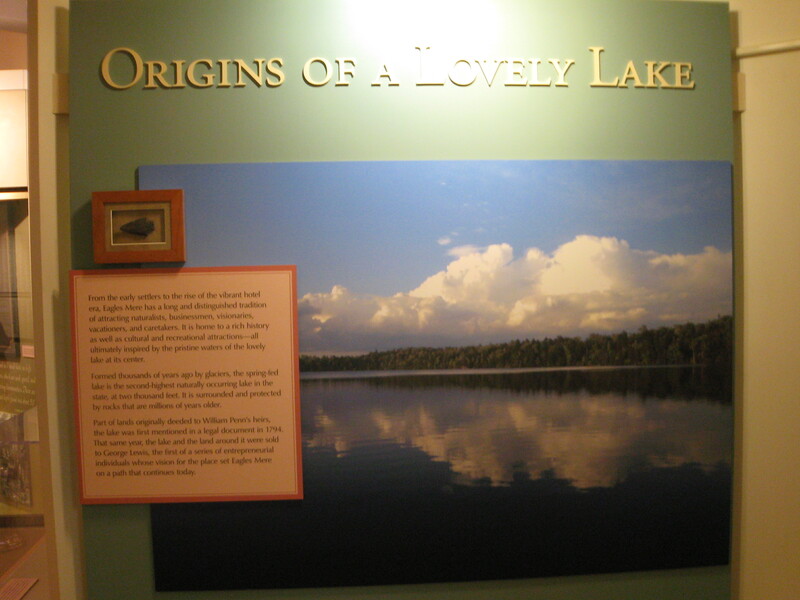 I went back to take a look at the museum now that it’s open, and was pleased to run into the husband-and-wife team of historians who advised me on the project (Barbara and Bush James, longtime Eagles Mere summer residents and authors of Mere Reflections: A Unique Journey through Historic Eagles Mere, 1988). I was thrilled to learn that the exhibition we created had over 11,000 visitors in 2008—up from 400 per year in its previous location—a former chapel. The location is much better, for sure, at the center of the small village, alongside new retail space. But the exhibition itself is also far superior—it tells the story of this place and shows off the highlights of the extensive collection. Whereas before there were dozens of objects filling cases from floor to ceiling, with very few labels and almost no interpretation, we strived to organize and prioritize the images and objects in order to tell a compelling story. Without the funds for expensive computer interactives, the exhibition relies on historic photography, objects, and traditional text panels to educate and engage its visitors. It goes to show it’s not a big budget that makes for a satisfying museum experience. You can learn a lot, even just from reading the headlines and a few captions. Well worth a visit. Exhibit designed by UJMN Architects + Designers. I love this, and desperately want to go! Nice work.